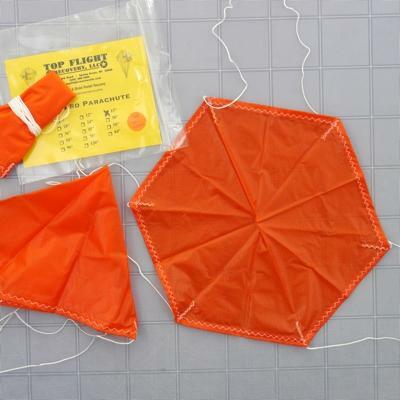 70" Thin-Mil Nylon Parachute made by Top Flight Recovery. Lighter weight nylon fabric, comes in bright orange material only. Comes assembled with sixteen shroud lines attached.